Though the name might suggest a pulsating, acid-hazed version of Oregon Trail, that’s not quite what I had in mind when I said “opposite.” Shame, but Hotline Trail is nonetheless sublime in its simplicity. 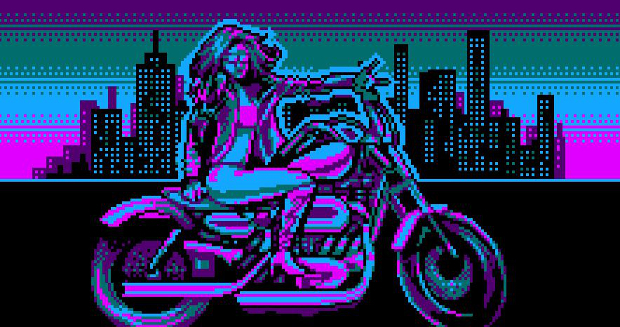 The infinite biker takes clear aesthetic inspiration from Hotline Miami (or perhaps the same sources as Hotline Miami), but its immediate vibe pulls an engine-roaring 180. Instead of ratcheting up the stakes and drowning the proceedings in schizophrenic chaos, Hotline Trail’s soothing electronic soundtrack and voiceover encourage you to find a groove and lose yourself in it. Devolver Publisher Weekend - up to 85% off! Starting now, Save 25 to 85%* on all Devolver titles during the Devolver Publisher Weekend! This is probably the most exciting game-related anything> I’ve seen in months. And yes, as the headline suggests, it’s entirely bonkers. 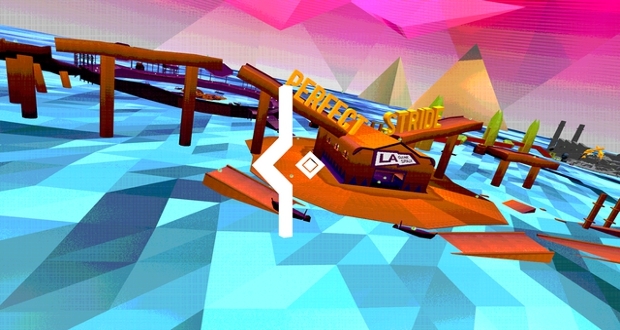 Remember Zineth developer Arcane Kids’ Tribes-meets-Tony-Hawk thing Perfect Stride? Well, it’s just one of 30+ games (23 of which are already finished and playable) that’ll immediately be yours if you hand LA Game Space a pithy 15 of your bacteria-and-filth-ridden Human Dollars. Experimental Game Pack 01 also includes entirely new projects from the likes of Katamari Damacy creator Keita Takahashi, Adventure Time (yes, the TV show) maestro Pendleton Ward, Hotline Miami madman Cactus, Kentucky Route Zero devs Jake Elliott and Tamas Kemenczy, and sooooooooooo many more. I’m not even going to pretend to be impartial on this one. Buy it. Buy it because duh.